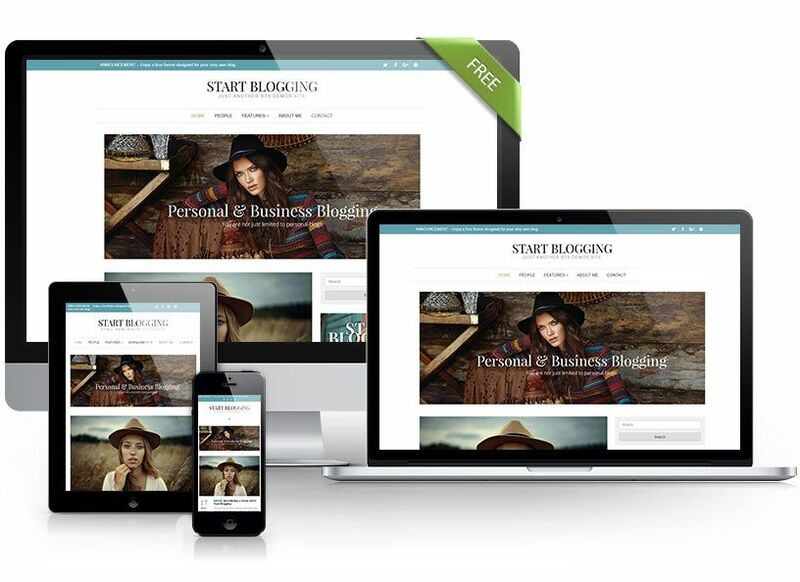 Start Blogging is a free theme that is designed for personal and business bloggers alike. The idea behind Start Blogging was to create a theme that is simplistic, yet giving you enough features and options to do a little more than just straight blogging. However, this one is specific to the blog concept and will definitely get you started quickly for anyone just beginning. If you need more features, there is also the popular Start Blogging Pro to consider. Start Blogging is streamlined, so you do not have to worry about getting a theme that is bloated with tons of stylesheets and scripts that bogs down your website. The plan is to continuously make improvements to increase speed and efficiency, so download this theme for FREE and give it a try. Click on Download to get the zip file for this theme. For support, you can click on the support button below and post your questions in the theme’s support forum.